Should Your Pastor's Wife Be Paid? As a child of maybe four years old, I remember watching the pastor’s wife stand at the big double doors to receive people leaving after the service. I thought, “No one ever asks her how she is... that must be lonely.” Funny how the Lord shapes and calls us in life. Never in a million years would I have guessed that I would end up being a pastor’s wife! Some years back, I sat chatting with a gal at a women’s ministry leaders gathering. Sitting around tables, with name tags and coffee, we shared our responsibilities and how we felt we were doing juggling them. I shared the varied tasks I tended, and she asked if I was on paid staff. No, I wasn’t. She said that it was plain wrong to expect so much from someone just because they were married to a minister. She said at her church, spouses were paid for their labors just like anyone else. While I appreciated her protective heart towards me, I’d just come from a paid staff position and I shared with her why I was happy with my unpaid position. 1. Being on staff adds certain complications and expectations. When you are a minister’s wife, there’s already so many expectations laid on your doorstep. It’s easy to feel as if the congregation thinks they own every moment of your and your husband’s time. (Thankfully, my husband and I serve a church family that does not feel this way about us, but we have experienced this dynamic. And it is very stressful!) Adding one more way the congregation perceives ownership over you can be just too much. I’m not a person who is really skilled at boundaries and so learning to maintain them for the good of everyone has been hard for me. For a pastor’s wife who wants to give, but also wrestles with telling herself and others “no,” adding a paycheck to the picture can make that all the harder for everyone. 2. Not being on staff allows for a more clear chain of command. I remember when my husband was a youth pastor and I was a children’s director, we had an all staff meeting. One thing was shared in the group meeting, then I was called aside and instructed to go against what was just instructed to my husband. I was dumbfounded and divided. When I was a paid staff person, I had a senior pastor, church council, church secretary, church preschool teacher, team of volunteers, oh yes, and a worship leading-youth pastor husband who all had goals and needs that affected me. As an unpaid staff wife, I feel the push-me-pull-me a little less intensely. Perhaps I should have been able to juggle all those pressures and perspectives while on staff, but not being on staff just made the whole thing feel more clear-cut. Some pastor’s wives might say having their husband as their boss is way too stressful on their marriage. It can also be a really sticky dynamic for a senior pastor to manage multiple couples on staff and for the ease of relationships, having one spouse on staff rather than both might make the working dynamics smoother. Regardless, when you are juggling the pressures of being a minister’s wife, finding ways to manage the perception of what stresses you out is a valuable thing. 3. There are realities to church service that involve your finances. If both of you are on staff, and something goes horribly awry, it's easier for your family if both of your paychecks are not affected. 4. Not being ministry staff might lead you to work outside the church. It can be a blessing to have a part of your life a little more compartmentalized or outside the fishbowl from ministry. I’ve enjoyed various side jobs that added to our income but were unaffected by church and I actually found a lot of enjoyment out of those pursuits. When I worked as a photographer I got a huge sense of satisfaction from being able to make people smile. Happy isn’t the real goal of ministry (gospel growth is), and often there’s a lot of hardships and crisis pastor’s wives walk with people through. While I wouldn’t trade that position for the world, it was nice to have something light-hearted and just plain happy to throw my heart into. Sometimes it’s healthy to have a facet of life outside the fishbowl. Yet, there are reasons your congregation may very well need to pay the pastor’s wife. We’ve had ministry couple friends where the wife worked as the secretary, worship leader, women’s ministry director, or children’s director because it kept their family and the church afloat. 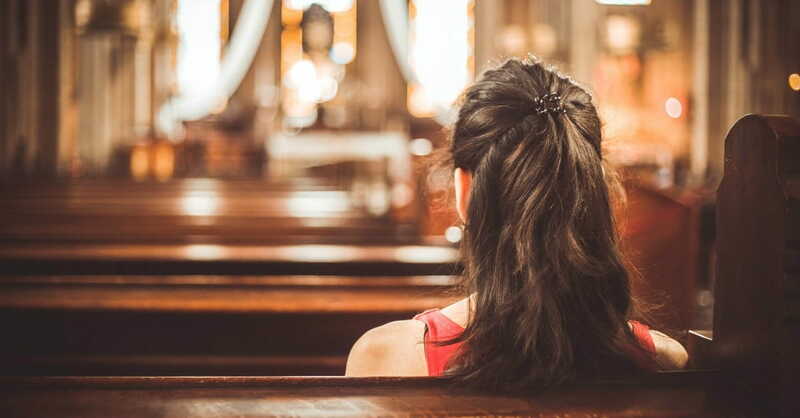 Another consideration for paying the pastor’s wife is that very often the demands of the role as a pastor’s wife are so consuming that she doesn’t have any time for an outside job. I finally gave up my photography business when our family expanded because I couldn’t juggle tending our little one and the needs of ministry, along with the business. Church often needs me on evenings and weekends - which happened to be the same time I would do photoshoots and weddings. So keep in mind that your pastor’s wife might not be able to stretch her time and energy across the demands of church and career. So whether or not your church writes a check to your pastor’s wife, pay her the respect and “highest regard in love” that Scripture directs you to. She’s worth it! April Motl is a pastor’s wife who loves to laugh, loves her man, loves to talk on the phone entirely too long and most of all, loves her Lord. Collaborating with the efforts of her husband Eric, the two of them share a ministry dedicated to bringing God’s Word into the everyday lives of married couples, men and women. April has been privileged through her own church and ministry outside her local body to share God's Word with women ranging in ages and stages, across denominations, and walks of life. April is a graduate from Southern California Seminary and has written for Just Between Us Magazine, Dayspring's (In)courage, and The Secret Place and also writes regularly for crosswalk.com, iBelieve.com and Women's Ministry Tools. For more information, visit Motl Ministries at: www.MotlMinistries.com.